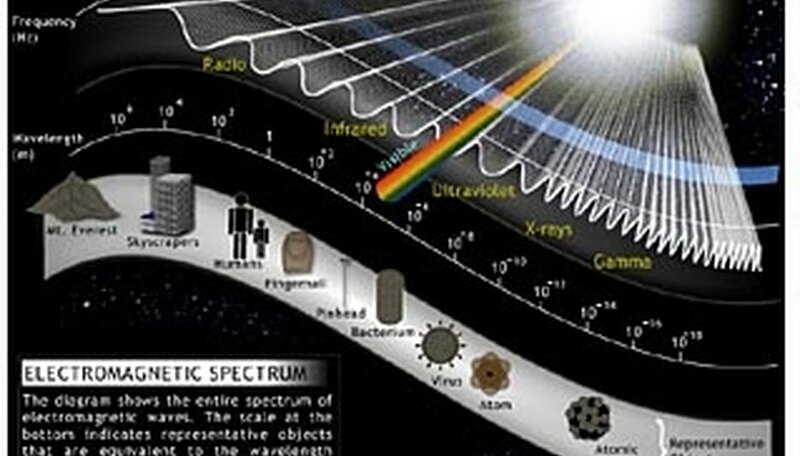 The electromagnetic spectrum, which is just a fancy word for the spectrum of electromagnetic radiation, or light, is one of the most interesting ideas in physics. It is also one of the easiest on which to perform basic experiments. This may seem like a far too overdone experiment, but that might only be because of its importance. All you need is a very simple triangular prism, sunlight and preferably a flat wall. Place the prism between the wall and the sunlight. Rotate the prism until you see a rainbow on the wall. Keep the rainbow on the wall until you can record what colors appear. 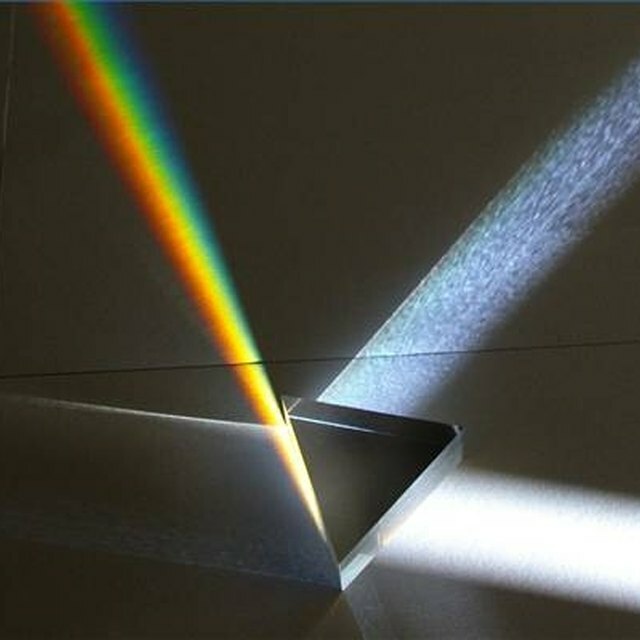 Once you have that recorded, try to describe why sunlight splits via prism into those colors. If the answer evades you, find a copy of the electromagnetic spectrum and compare the visible spectrum to what you see on the wall. The objective of this experiment is to realize that sunlight is white light, which can be split into its component colors. This experiment will introduce you to a few other forms of light that you can't see. However, you will need some source of heat and some sort of infrared camera. Take this source of heat and activate it. If you are using a flame, ignite it and observe its color. Then, observe it again with the infrared camera. You should see much more light through the camera than with your eyes. What you should notice is that the heat gives off infrared light as well as visible light. In fact, it gives off a wide spectrum of light. The infrared light you see is a byproduct of the heat. This shows that where there is heat, there is infrared radiation and vice versa. This is a bit of a trickier experiment. However, it is very malleable in the sense that you can do it in a few different ways. You need a diffraction grating, a few chemicals to burn, water, a few wood stirring sticks and a burner or heat source. While you can alter the chemicals, the following are guaranteed to work for the experiment: cesium nitrate, copper nitrate, strontium nitrate, lithium nitrate, nickel nitrate, sodium nitrate, sodium chloride. Those chemicals will produce some interesting colors when burnt and observed through diffraction grating, which is the extent of the experiment. You can also burn basic solids like wood or anything else. As long as it burns, it will produce a spectrum that can be identified through a diffraction grating. Try to observe the different spectrums for each chemical you burn. This should show you that every object burns with a different spectrum, which can be used to identify the object. This means that the light produced by burning things is also a combination of many colors and is caused by the chemical composition of the object. This experiment should give you a better familiarity with not only white light, but how white light is similar to other types of light. You will need a few mirrors and the prism mentioned earlier, as well as another flat surface or wall. Take the mirrors and arrange them in a series so that when a bright flashlight is shined on one, it will reflect off of it and hit another mirror, which will reflect it in another direction. Keep in mind that the angle of incidence is equivalent to the angle of reflection. Place the prism so that it diffracts the light coming off the second mirror. Now, turn the flashlight on and let the light go from one mirror to the other and into the prism. You should see a spectrum appear behind the prism. This proves that white light remains intact until it is diffracted, or split, by a prism. More important, this allows you to further reflect the diffracted spectrum, if you have enough mirrors. This will demonstrate that light, when split into its component colors, acts almost exactly the same as white light, which makes sense because white light and light that is monochromatic, or almost monochromatic, are still both electromagnetic radiation. Keep in mind that a flashlight will not work as well as the sun in this experiment. If you can get the mirrors to reflect sunlight and replace the flashlight, it will be more effective, but note that is not always possible. As a final precautionary note, some of these experiments are quite dangerous. Always use common sense when operating any experiment. Never get closer than necessary to a source of flame. Always wear proper protective clothing, such as glasses, an apron and gloves. Most of all, stay within the bounds of the experiment you plan to perform and don't try to add something exciting with which you aren't familiar. Scott, David. "Light Spectrum Experiments." Sciencing, https://sciencing.com/light-spectrum-experiments-5459337.html. 24 April 2017.